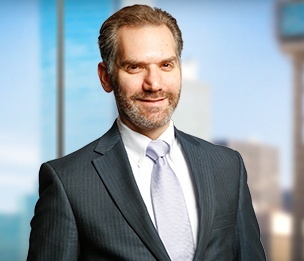 Aaron Kaufman is a commercial bankruptcy attorney dedicated to understanding his clients’ businesses and what makes them succeed – whether it is helping the client through its own distressed environment or advising clients acquiring distressed assets through the bankruptcy process. Aaron’s practice focuses on business reorganization and commercial litigation. What sets him apart from others in his area is his ability to build relationships and understand his clients’ business environments to be a trusted advisor to his clients, rather a hired gun. Aaron prides himself on staying ahead of the curve on legal and industry developments to provide more strategic options to better achieve success for his clients. Aaron’s bankruptcy experience runs the gamut, from representing debtors to lenders, committees and investors. One of Aaron’s passions is shepherding his clients through the challenges presented by complex chapter 11 bankruptcy cases, whether through plans reorganization or quick 363 bankruptcy sales. He assists investor clients in acquiring distressed assets and represents clients in all other aspects of commercial bankruptcy cases. Aaron is also an experienced commercial litigator who regularly advises clients on fraudulent transfer and fiduciary duty matters in state and federal court. Prior to joining Dykema, Aaron was a clerk to the Honorable Leif M. Clark of the United States Bankruptcy Court for the Western District of Texas, now retired. A frequent author and lecturer, Aaron earned a B.S. from the University of Texas and a J.D., with honors, from the University of Houston, where he was an editor of the Houston Journal of International Law and Business. You can follow Aaron on Twitter: @aaronm_kaufman or find him on LinkedIn. Frequent defense of individuals and companies in fraudulent transfer and preferential transfer lawsuits brought by chapter 7 and chapter 11 trustees. Frequent representation of landlords in complex chapter 11 bankruptcy cases.